Sky TV & Broadband Vs Virgin Media - Which? Sky and Virgin are two of the biggest telecoms providers – but which should you choose when picking your next broadband and pay TV deal? Almost half of us opt for either Sky or Virgin Media when signing up for a broadband package, and the numbers are even higher for those choosing a combined TV and broadband service. It's perhaps not surprising – the two companies are well known and each offer a wide range of content across hundreds of channels. But which should you choose when taking out a new deal? Read on to find out how they compare. To discover how the two compared to the less well-known TV and broadband providers, head straight to our round up of the best and worst TV and broadband providers, based on our in-depth survey of over 3000 customers. Sky TV and Virgin Media: which is best? Sky is best known as a pay TV provider, although it also offers broadband, home and now mobile phone services. Like BT, Plusnet and TalkTalk, Sky's broadband service is supplied using the Openreach network, while its TV channels come via a satellite dish attached to your property. In contrast, Virgin Media specialises in broadband, though it also offers pay TV, home and mobile phone options. Unlike Sky, Virgin's services are supplied through its own fibre optic network, which offers faster broadband speeds but isn't as widely available. Both providers' offer long contracts - Sky's last 18 months while Virgin Media's are 12 months long. Virgin Media also offers a rolling, 30 day option for its broadband and phone deals. To help you compare the two providers and establish which would be best for you, we've pulled the key details into the table below. Which? members can log in to see the scores and star ratings awarded to the two providers in our latest survey. Not yet a member? Join Which? now to get instant access to all of our reviews. Sky and Virgin Media: which offers better broadband? Virgin Media's strength is its broadband service. Because it runs on fibre cables, it offers the fastest speeds available from mainstream providers – its deals have average speeds of 54Mbps, 108Mbps, 213Mbps and 362Mbps. Virgin Media's packages also include unlimited downloads, and it no longer applies traffic management to downloads or uploads. 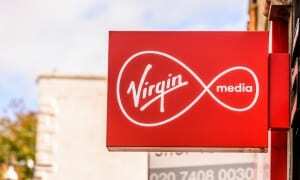 Unusually, you can sign up for a Virgin Media broadband deal without paying for a home phone service, although promotional deals mean that this doesn't always work out cheaper in the first year. Sky offers the typical speeds seen from providers using the Openreach network. Its standard (ADSL) broadband has an average speed of 11Mbps, while its fibre deals have average speeds of 36Mbps or 63Mbps. Like Virgin Media, Sky doesn't apply any traffic management, and most of its packages include unlimited data. Read our in-depth round-ups of the TV and broadband services offered by Sky and Virgin Media - and how satisfied their customers are - using our TV and broadband provider reviews. Sky and Virgin Media: which is better for home phone? Sky's line rental costs £18.99 per month and doesn't offer any inclusive calls – you'll either need to pay as-you-go or add a calling plan. 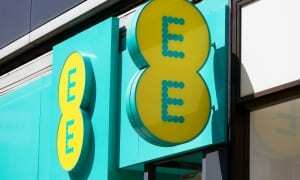 The cheapest calling plan provides free evening and weekends call to UK mobiles and landlines and costs £4 each month. 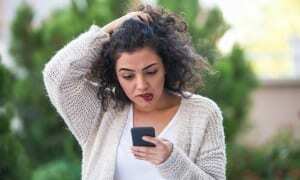 Virgin Media charges £19 for line rental but throws in free weekend call to UK landlines and Virgin Mobile numbers. While Virgin Media is well-known for its broadband, Sky is the king of pay TV - even its basic package offers over 300 channels including Sky Atlantic, home to popular shows like Game of Thrones and Westworld. You can pay more to get additional channels, including movie and sports options, or to get extra TV boxes that allow you to watch in more than one room. All Sky packages come with its new Sky Q 1TB box as standard - this allows you to pause and rewind live TV, record multiple channels while watching another and to access on-demand content. You can also pay extra for a 2TB version of the Sky Q, allowing you to record double the amount of television - up to 1000 hours of standard definition. Read our Sky Q review to see whether it impressed in our tough lab test. Virgin Media doesn't have any of its own TV channels, but does offer most of the key channels that you get from Sky. You can even watch Sky Sports or Sky Cinema, though Sky doesn't allow access to Sky Atlantic. Bear in mind though that Virgin's TV packages include a smaller selection of channels – for example, Virgin's basic package, Player TV, only includes 70 channels. Virgin Media supplies all customers with its V6 Box which offers much of the same functionality as the new Sky Q box, and 1TB storage capacity. What extras do Sky and Virgin Media offer? Both services have accompanying apps that let you check out TV listings and set recording schedules while on the go and even stream live TV onto your mobile device. You can also download shows so that you can watch them offline, and resume watching a show that you'd paused on both the Sky Q and Virgin V6 box. As shown above, both Sky and Virgin have their own strengths and weaknesses. Your choice is likely to centre on whether the broadband or television aspect of your bundle is more important to you. If you want the fastest broadband then Virgin Media is probably the better option; if you're after the widest choice of TV shows then Sky will likely be the better bet. But there's more to choosing the best provider than simply looking at what it offers – it's also useful to know more about the customer service on offer or the value for money that you're likely to experience. And it's also important to remember that Sky and Virgin Media are not your only options - providers such as BT, Plusnet and TalkTalk, also offer TV and broadband services and some of them have particularly satisfied customers. Find out which TV and broadband services are available where you live - and how much they cost - using Which? Switch Broadband.